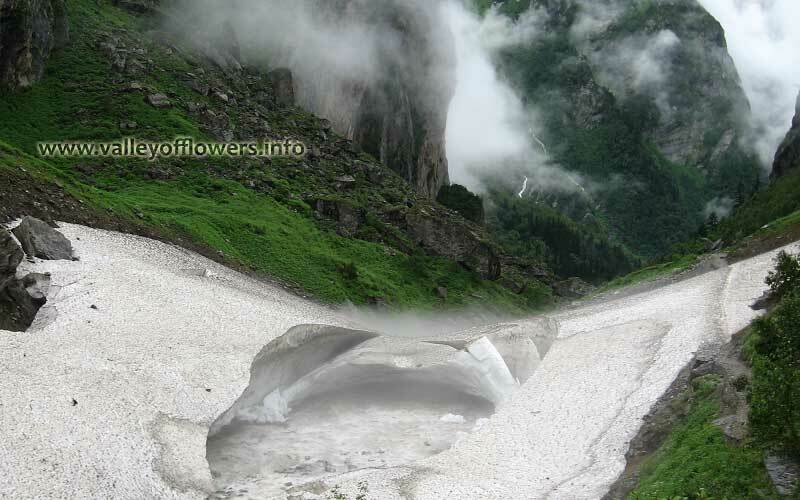 Valley of flowers Trek require you to trek for 4 days from Govindghat. This document will tell you the total distance to be trekked on each day and various options available to skip trekking. It is a common question; people want to know about the number of kilometers which one need to trek for a trip to Valley of Flowers. Total trek will be approximately 50-55 km in four days. That can be explained below. Experience a scenic place where the nature blooms with its entire vista which can be accessible by a tedious but lovely stroll. Eye catching spectacles like the cascading waterfalls, small streams and above all the flowery meadows awaits the visitors all through the way. Ghangaria Altitude: 10200 feet (3110m), There is almost an altitude gain of 4700 feet (1432m). From Govindghat to Ghangaria the trek officially is 14 km but after the flood in 2013 the trek has been rerouted at many places and the total distance has been increased. Although not official but it should be approximately 16 km now. It will take almost 8-10 hours of trekking. Whether you can skip trekking: Yes, you can easily get ponies from Govindghat for Ghangaria. Other option is to take Helicopter or Palanquin/porter. Helicopter will fly only when weather conditions are ok. 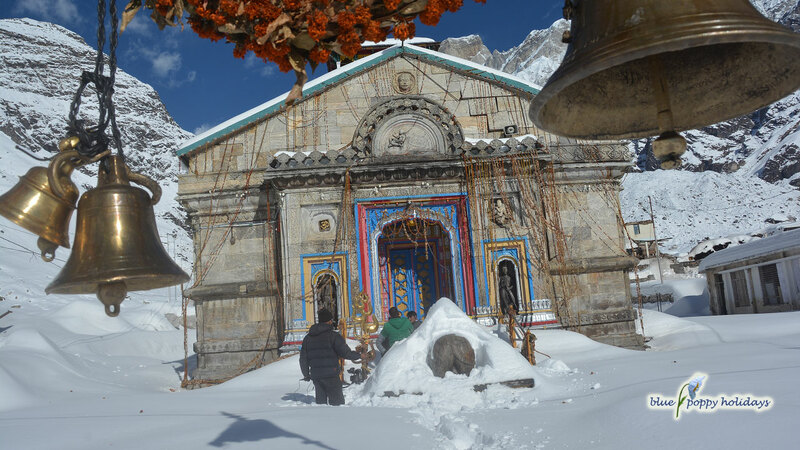 Following are some of the pictures of the trek between Govindghat and Ghangaria. Click picture to enlarge. Valley of flowers trek Govindghat to Ghangaria. These guys are taking a suitcase on the trek. They may not be knowing that this is not a good idea at all. Valley of flowers trek Govindghat to Ghangaria, Bridge constructed in 2014 near village Bhyuandar. After crossing this bridge you need to trek for another 4 km to reach Ghangaria. Bridge near Bhyuandar village on the trek between Govindghat and Ghangaria. Newly constructed trek between Govindghat and Ghangaria. Valley of flowers trek Govindghat to Ghangaria, clicked in 2012. 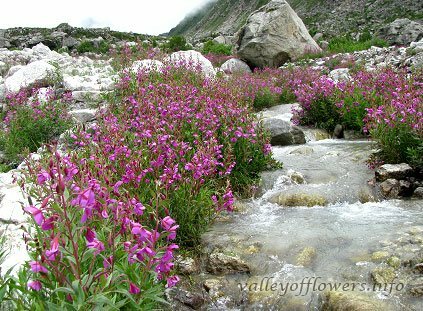 Valley of Flowers Altitude: Varies between 11500 feet to 10500 feet. 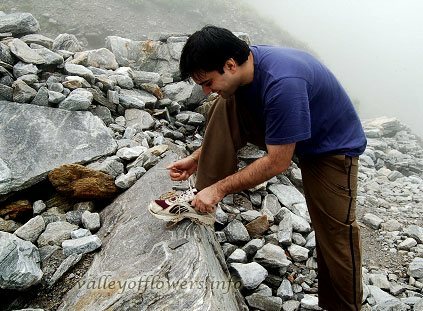 Distance to be trekked: Depending upon your stamina and speed you can trek between 3 km to 8 km one side in to the valley. The first entry is allowed at 7.00 am and you need to get out of the valley by 5 pm. The trek has become steeper since 2014 as 1 km of the trek has been rebuilt and now we need to go up and come down again. Once we reach 3.5 km inside the valley the trek is almost flat. 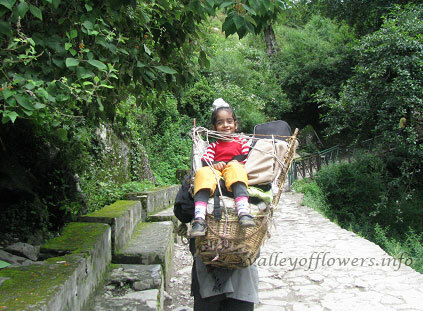 Ponies are not allowed to enter the Valley of Flowers however you can hire a porter or take palanquin; you need to bear the entry fee cost of porters also along with their charges. 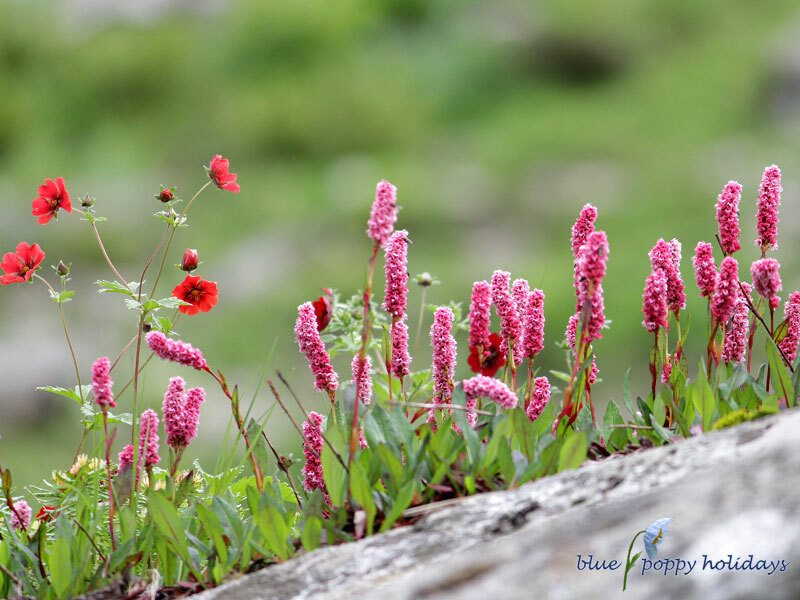 If you are coming with us for the Valley of flowers Trek you will be going again to the valley on Day 4. Trek inside the valley, flowers can be seen on both side of the trek. Hemkund Sahib Altitude: 14000 feet. Distance to be trekked: 6 km one side. This is quite steep and it is at higher altitude which makes it more difficult. I recommend you to take a pony for sure at least for going uphill. You can come walking while coming back. The trek is continuously uphill as can be seen in the picture. Helicopter is not available this day. 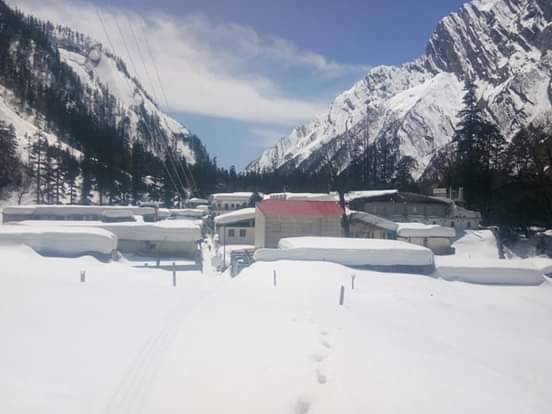 Ghangaria to Hemkund Sahib trek Lot of snow on both sides of trek. If you wish to see this you need to visit before mid June. Ghangaria to Hemkund Sahib trek This is not the picture of trek, actually these children wanted to stand on this glacier. Picture was taken in September 1st week. Ghangaria to Hemkund Sahib trek : The trek was under construction, you will find it in better shape now. Ghangaria to Hemkund Sahib trek, You can see the whole trek from bottom of the hill. The left side gorge is the gateway to Valley of flowers. The trek to valley of flowers separates from here. 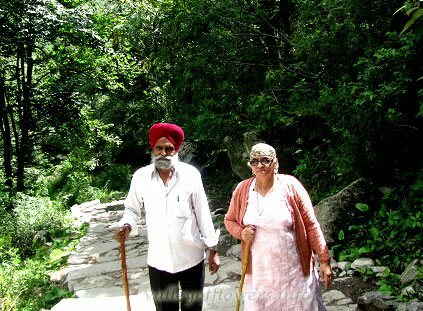 A beautiful couple from our group in 2014, this is start of the trek. It is gradual coming down. Just reversal of Day 1. 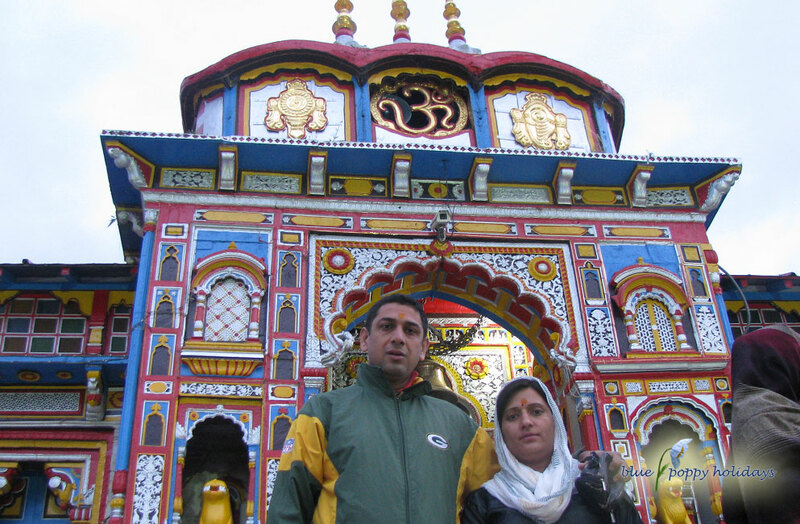 You can take pony just to save some time if you wish to go to Badrinath in the evening. It will take almost 4-5 hours to reach Govindghat by trekking and 3 hours by pony. Following table explain the availability of porter/palanquin, pony or helicopter on various days along with their charges. Available @ Rs. 3200 per person one side. Available @ Rs. 800 per person. Available @ Rs. 600 per person one side and Rs. 800 for both sides. Available @ Rs. 800 per porter. They can carry luggage or even people. Available @ Rs. 800 per porter. But you need to take his entry ticket also. Entry ticket is Rs. 150 per person. Available @ Rs. 800 per porter. Available but price is very dynamic as availability is very low. Price varies between Rs. 6000 to Rs. 8000 per day. As 4 porters are needed. Same price as of Day 1 but you need to pay for entry tickets of the four porters also. Available @ Rs. 6000- Rs. 8000 for both sides. Available @ Rs. 6000- Rs. 8000. 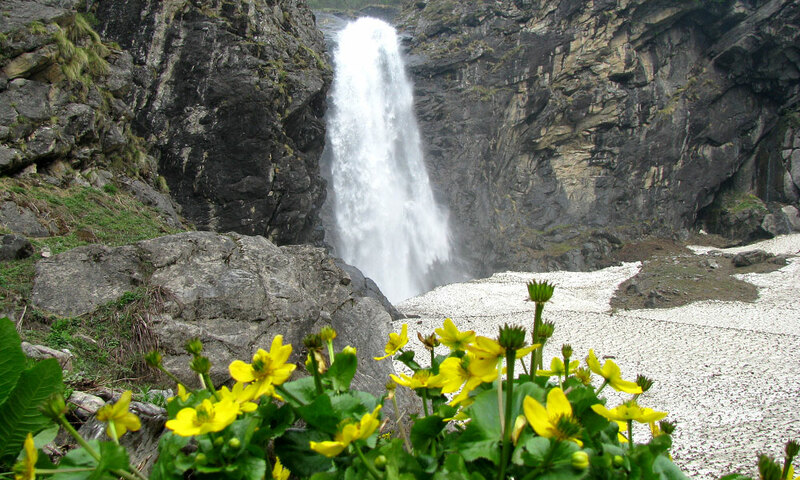 Get more information on valley of flowers trek itinerary. 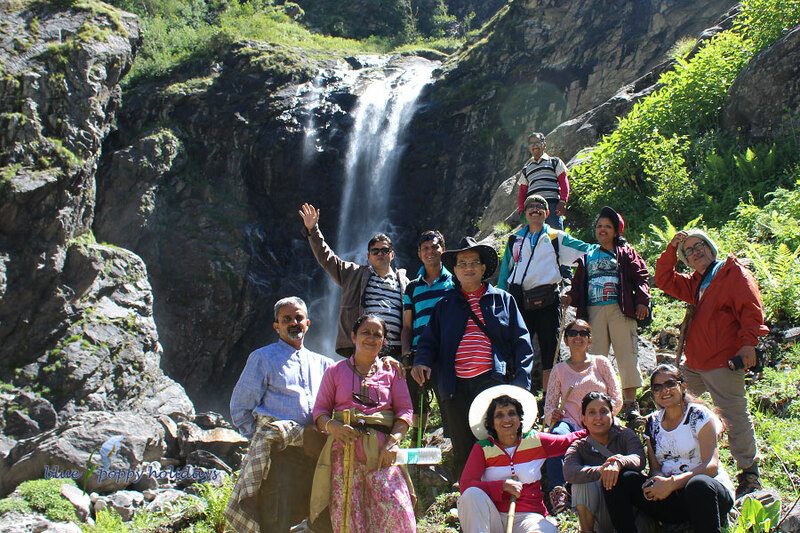 To visit Valley of flowers please check our valley of flowers trekking packages page.